Latest Zag Bijoux, Les Initiés, Les Timbrées, Ikita, Dolce Vita. Best quality materials, wide choice of gold, pink gold, silver, steel, gun and fantasy colours. 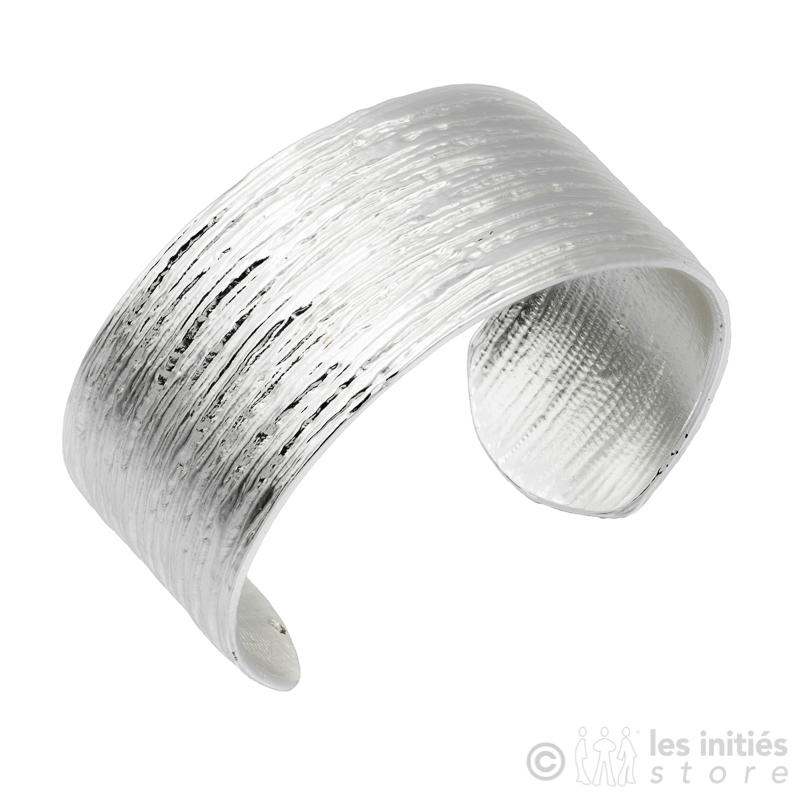 Stylized bracelet in matt silver pewter. One size fits all. 71 gr. Matching necklaces, bracelets, etc. in Dolce Vita collection. Stylized bracelet in mat gold pewter. One size fits all. Weight 68 gr. Matching necklaces, bracelets, etc. in Dolce Vita collection. Stylized bracelet in mat gold pewter. One size fits all. Weight 62 gr. Matching necklaces, bracelets, etc. in Dolce Vita collection. Lolilota charm bracelet. Glazed characters and colorful objects. 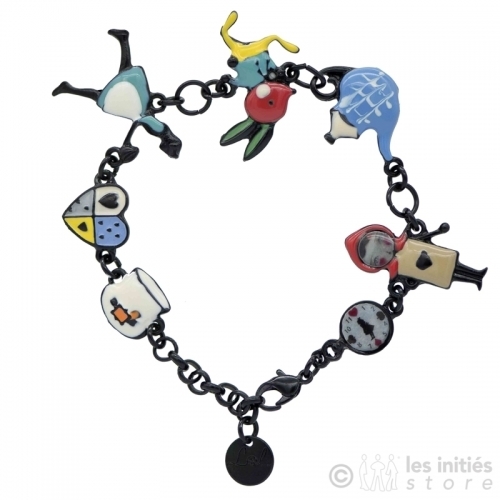 Charm bracelet filled with magical and mischievous characters and objects. Weight 15 gr. Zag "Wild west massacre bracelet" made of high quality 316 L hypoallergenic surgical steel. Adjustable from 15 cm to 18 cm. Matching necklaces, earrings, rings, etc. 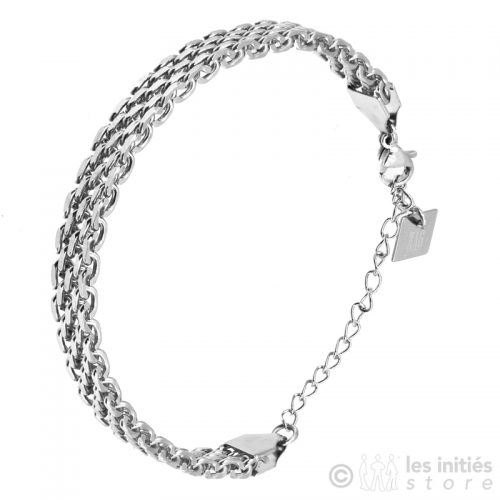 Elegant Zag "Space Invaders" bracelet made of high quality 316 L hypoallergenic surgical steel. Adjustable from 15,5 cm to 18,5 cm. Matching necklaces, earrings, rings, etc. on Les Initiés Store. Zag "5 stars" bracelet made of high quality hypoallergenic surgical steel dipped in gold. Adjustable from 15 cm to 18 cm. Matching necklaces, earrings, rings, etc. 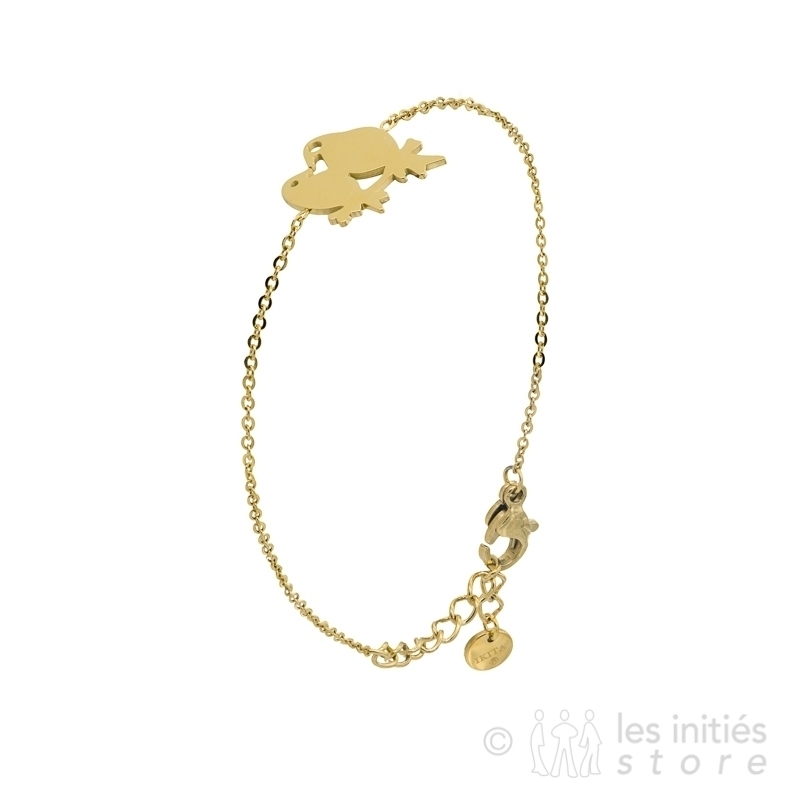 Zag "Wheat stalk" bracelet made of high quality 316 L hypoallergenic surgical steel dipped in gold. Adjustable from 15 cm to 18 cm. Matching necklaces, earrings, rings, etc. on Les Initiés Store. Zag Tropical nature "Palm tree" bracelet made of high quality 316 L hypoallergenic surgical steel. Adjustable from 15 cm to 18 cm. Matching necklaces, earrings, rings, etc. on Les Initiés Store. 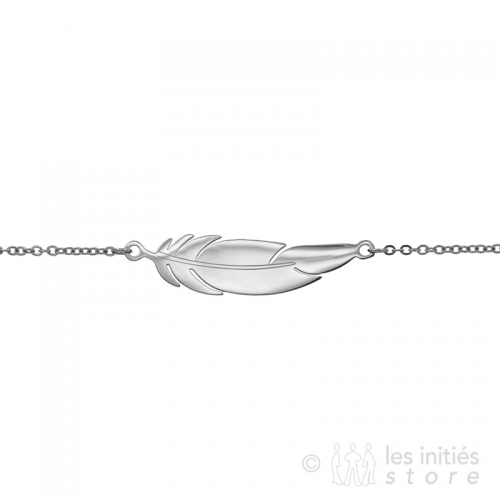 Zag bijoux discreet little feather is a delight for women who love refinement. Made of robust 316L surgical steel dipped in rose gold, finely chiselled and perfectly hypoallergenic. Length 15,5 cm + 3 cm of adjustment chain. Feather of 1.5 cm x 0.4 cm. Dressy Zag "Rhinestone clover" bracelet made of high quality 316 L hypoallergenic surgical steel dipped in gold. Adjustable from 15 cm to 18 cm. Zag design "Flat shackles" bracelet made of high quality 316 L hypoallergenic surgical steel dipped in rose gold. Adjustable from 15 cm to 18 cm. Matching necklaces, earrings, rings, etc. 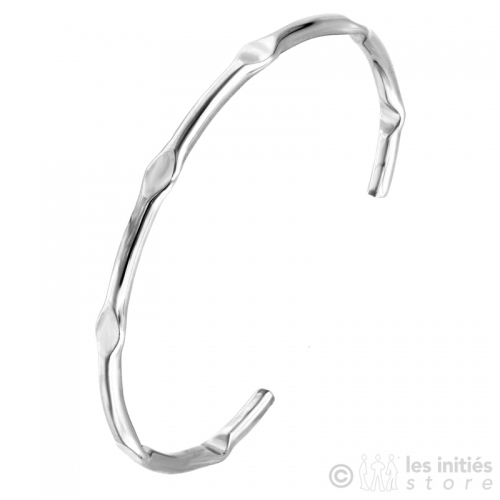 Zag "Reed" bangle bracelet made of high quality 316 L hypoallergenic surgical steel. One size fits all. Matching necklaces, earrings, rings, etc. on Les Initiés Store. 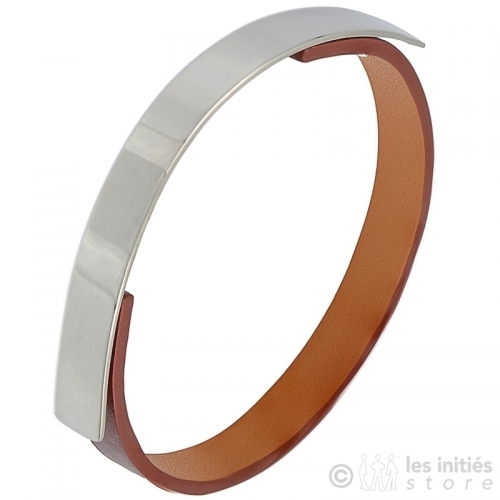 Zag geometric bangle bracelet made of high quality 316 L hypoallergenic surgical steel. Matching necklaces, earrings, rings, etc. on Les Initiés Store. Zag geometric bangle bracelet made of high quality 316 L hypoallergenic surgical steel dipped in gold. Matching necklaces, earrings, rings, etc. on Les Initiés Store. Zag rigid braided bracelet made of high quality 316 L hypoallergenic surgical steel. One size fits all. Matching necklaces, earrings, rings, etc. on Les Initiés Store. Zag rigid "Giraffe" patterned bracelet made of high quality 316 L hypoallergenic surgical steel dipped in gold. Matching necklaces, earrings, rings, etc. on Les Initiés Store. Zag cuff bracelet made of high quality 316 L hypoallergenic surgical steel. Adjustable. Width 4,1 cm. Matching necklaces, earrings, rings, etc. on Les Initiés Store. 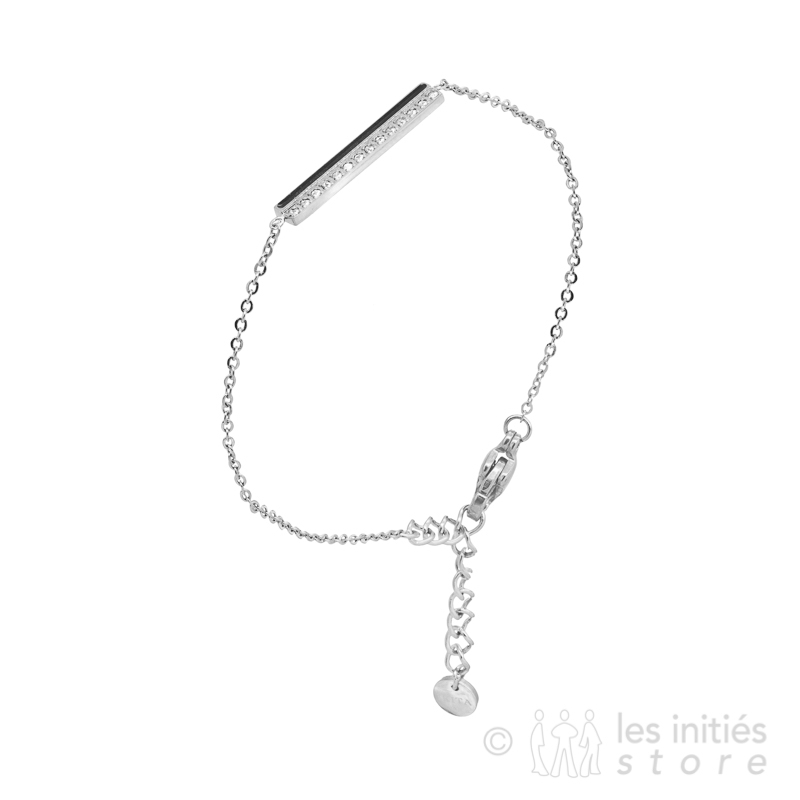 Zag openwork bracelet made of high quality 316 L hypoallergenic surgical steel. Adjustable. Width 1,4 cm. Matching necklaces, earrings, rings, etc. on Les Initiés Store. 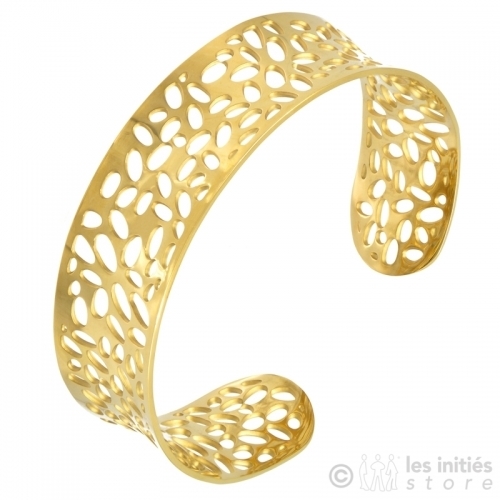 Zag openwork bracelet made of high quality 316 L hypoallergenic surgical steel dipped in rose gold. Adjustable. Width 1,4 cm. Matching necklaces, earrings, rings, etc. Zag "Waves" bangle bracelet made of high quality 316 L hypoallergenic surgical steel dipped in gold. Adjustable. Width 0,8 cm. Matching necklaces, earrings, rings, etc. 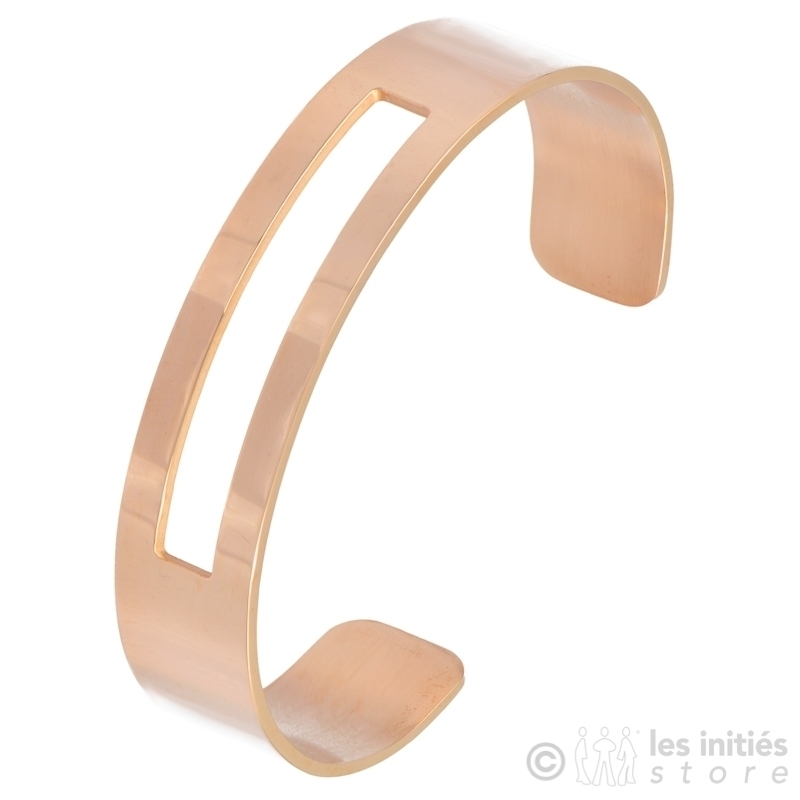 Zag "Waves" bangle bracelet made of high quality 316 L hypoallergenic surgical steel dipped in rose gold. Adjustable. Width 0,8 cm. Zag "Braided" supple bracelet made of high quality 316 L hypoallergenic surgical steel. Width 0,6 cm. Adjustable to 20 cm. Matching necklaces, earrings, rings, etc. 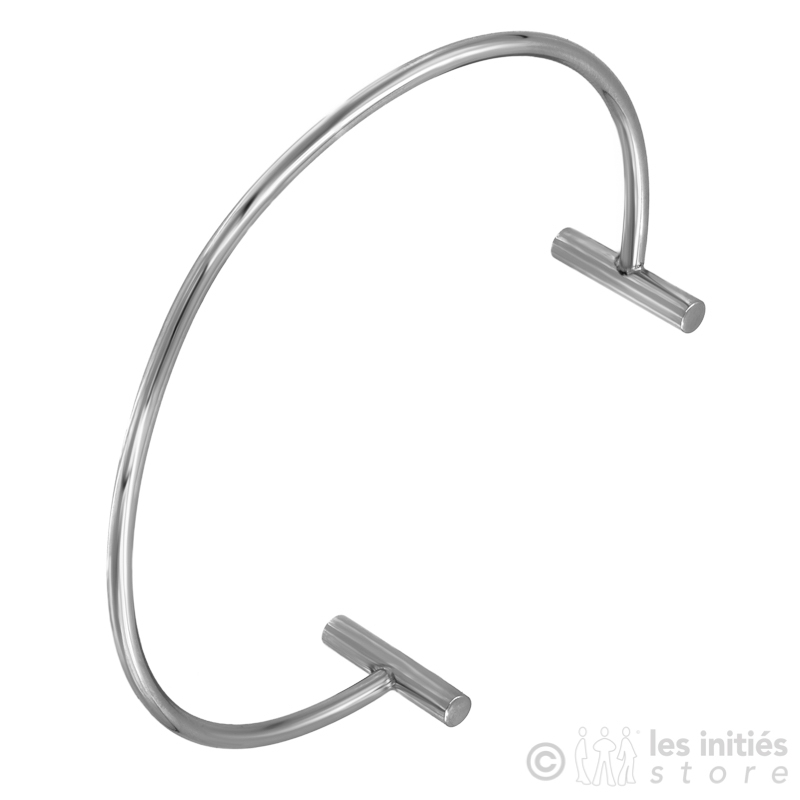 Zag "Braided" supple bracelet made of high quality 316 L hypoallergenic surgical steel. Adjustable to 19 cm. Matching necklaces, earrings, rings, etc. on Les Initiés Store. 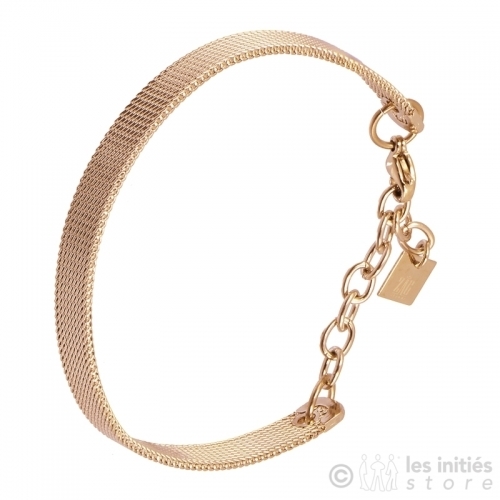 Zag "Braided" supple bracelet made of high quality 316 L hypoallergenic surgical steel dipped in gold. Adjustable to 19 cm. Matching necklaces, earrings, rings, etc. on Les Initiés Store. Ikita "Pineapple" bracelet made of black hypoallergenic stainless steel. Adjustable from 15 cm to 18 cm. Matching necklace, rings, earrings, etc. on Les Initiés Store. Zag "Flat shackles" design bracelet made of high quality 316 L hypoallergenic surgical steel dipped in gold. Adjustable from 15 cm to 18 cm. Matching necklace, rings, earrings, etc. on Les Initiés Store. Zag "handcuffs" design bracelet made of high quality 316 L hypoallergenic surgical steel. Adjustable from 15 cm to 18 cm. Matching necklace, rings, earrings, etc. on Les Initiés Store. 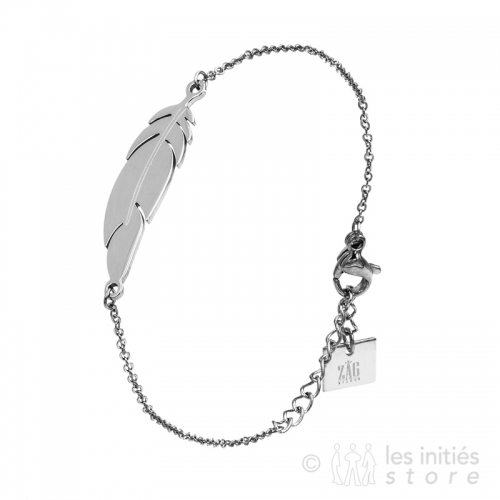 Zag "Feather" design bracelet made of high quality 316 L hypoallergenic surgical steel. Adjustable from 15 cm to 18 cm. Matching necklace, rings, earrings, etc. on Les Initiés Store. Zag "Feather" design bracelet made of high quality 316 L hypoallergenic surgical steel dipped in gold. Adjustable from 15 cm to 18 cm. Matching necklace, rings, earrings, etc. on Les Initiés Store. Zag "Feather" design bracelet made of high quality 316 L hypoallergenic surgical steel dipped in rose gold. Adjustable from 15 cm to 18 cm. Matching necklace, rings, earrings, etc. on Les Initiés Store. 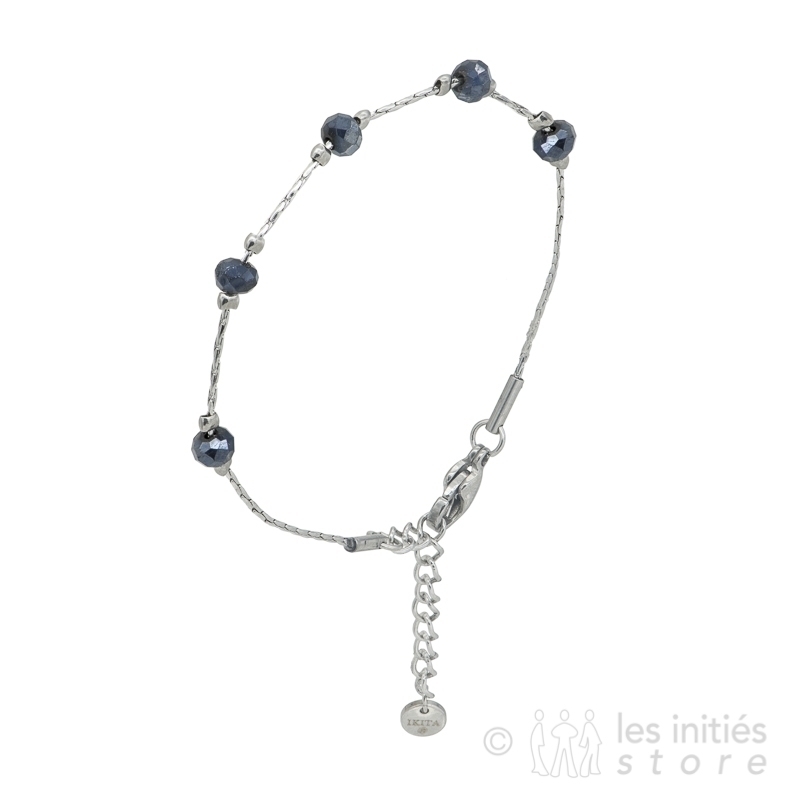 Ikita "Black beads" bracelet with an original chain made of hypoallergenic surgical steel. Adjustable from 15,5 cm to 18,5 cm. Matching necklace, rings, earrings, etc. on Les Initiés Store. Ikita "Black beads" bracelet with an original chain made of nickel-free hypoallergenic surgical steel. Adjustable from 15,5 cm to 18,5 cm. Matching necklace, rings, earrings, etc. on Les Initiés Store. Ikita "2 birds" bracelet made of high quality 316 L hypoallergenic surgical steel dipped in gold. Adjustable from 15,5 cm to 18,5 cm. Matching necklace, rings, earrings, etc. on Les Initiés Store. Ikita "Pineapple" bracelet with a black marbled stone made of high quality 316 L hypoallergenic surgical steel. Adjustable from 15,5 cm to 18,5 cm. Matching necklace, rings, earrings, etc. on Les Initiés Store. Ikita "Pineapple" bracelet with a black marbled stone made of high quality 316 L hypoallergenic surgical steel dipped in gold. Adjustable from 15,5 cm to 18,5 cm. Matching necklace, rings, earrings, etc. on Les Initiés Store. Ikita "Pineapple" bracelet with a teal marbled stone made of hypoallergenic surgical steel. Adjustable from 15.5 cm to 18.5 cm. Matching necklace, rings, earrings, etc. on Les Initiés Store. Ikita discreet and refined "Rhinestone bar" bracelet made of high quality 316 L hypoallergenic surgical steel. Adjustable from 15.5 cm to 18.5 cm. Matching necklace, rings, earrings, etc. on Les Initiés Store.